This was my first time in the Red Sea and the second in Egypt. 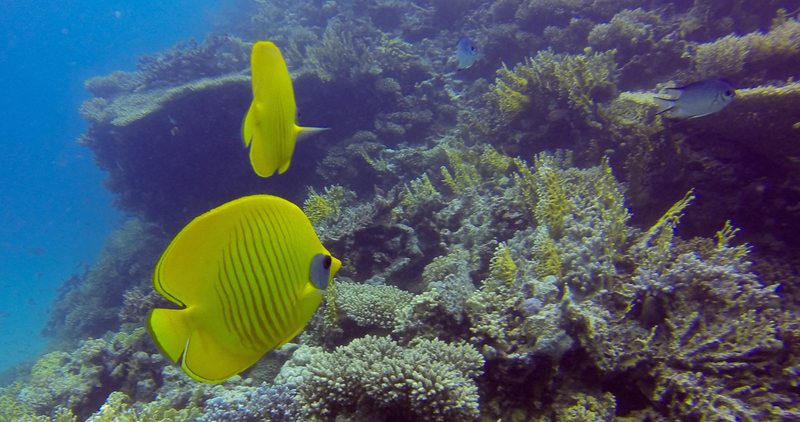 On my first day, I went straight diving, the reason to visit Hurghada. My dives here will be with PDL (Professional Diving Leadership) Divers Club, the first day was reserved already from home. I was very curious to dive in Red Sea, I’ve heard it is supposed to be the best places to dive if you live in Europe. First and interesting fact, there is no waves, it is even calmer than the Mediterranean, that means, no seasickness. For the ones (like me) that feel sick sometimes, here is the perfect place, calm waters. Our guide for this dive was Ama, very meticulous and professional. He did a great breathing of the place we were going to dive, we checked the equipment, and water, salty water.